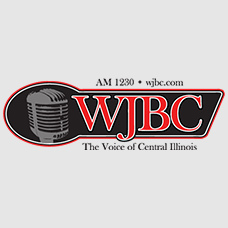 WJBC Voices: Can we cancel the election for lack of interest? Illinois’ elections are as dysfunctional as its government. This November, we have not two, not three, but four gubernatorial candidates. Shemp, Moe, Curly and Larry, who are already on the ballot, may yet be joined by a fifth person destined not to lead us out of the wilderness. Democracy has been defined as the recurring suspicion that more than half the people are right more than half the time. While good in the long run, those odds are frightening when applied to any particular election such as the one on November 6. In theory, the candidates tell the voters what course of action they want to take over the next 4 years; the voters, in turn, give a mandate to one of the candidates to follow that course of action. Theory also assumes that the candidates will define and focus on their vision for the state. But, then we must remember Yogi Berra’s axiom: “In theory, there is no difference between theory and practice; in practice, there is.” Thus, in practice, by some time well before Nov. 6, the voters will likely be so nauseated by offensive and irrelevant drivel from Shemp, Moe, Curly, Larry and No Name, that, if they could, they would vote to cancel the election for lack of interest. The enthusiasm deficit is caused by the number of candidates and their campaigns. Policies advocated by the third, and fourth party candidates will not get them elected or force either Rauner or Pritzker to espouse any of them. But their presence on the ballot will distort the outcome of the election; their issues will get lost, and ballots cast for them will be useless except as protest votes. More serious (and discouraging) are the campaigns of three of the candidates. Really, really rich people running for office are simultaneously the best and worst candidates. On the one hand, their wealth is such that they can literally put their money where their mouth is, and finance large portions of their own campaign expenses, giving them independence from those people whose political influence derives less from the cogency of their arguments than from the money they can give a candidate to see things their way; ordinary people like us can advocate all we want, but politicians listen more to those who are in a financial position to get them elected or re-elected. On the other hand, the filthy rich candidate is likely to be out of touch with the average voter and his or her struggles. Does anyone seriously think that either Pritzker or Rauner seriously cares for any of those plebeians their ads show them listening to so intently, beyond which way these commoners will vote? Their excessive wealth and independence also make them more likely to indulge personal or familial pet projects, as did Rauner, when he decided to use our tax money to pay for abortions at a time when the state faces tens of billions in unfunded pension debt. And it is not yet clear which circle of Dante’s Inferno is reserved for those who lie to a Cardinal. Pritzker, not to be outdone in irrelevancy, is focusing on the number of property tax appeals Rauner has filed on his properties, as if there were something illegal about it. He also disingenuously accuses Rauner of supporting a tax increase while ignoring his own plan to thwart the constitution’s prohibition of a progressive income tax by jacking up the flat tax rate and enacting a huge exemption. His soak the rich plan ignores the facts that Illinois is currently hemorrhaging people (and tax base) largely because of high taxes; and that the wealthier residents (who already pay more taxes even with a flat tax) are more mobile than their less affluent soon-to-be-former neighbors. McCann’s candidacy is an effort to punish Bruce Rauner for his betrayal of his conservative base. While Jeanne Ives’ candidacy made sense as a battle for the direction of the Republican party, McCann’s is nothing more than a dog-in-the-manger attempt to teach Rauner a lesson, which will come at Republicans’ expense if he hands the Governor’s mansion to Pritzker. Neither of the major candidates is seriously dealing with the facts that the state, which has been circling the drain financially for years, is perilously close to going down that drain; that the pension crisis is accelerating the pace of the circling; that our credit rating is one step above junk; and that the state has “won” the title of the state that the highest percentage of residents want to escape from. With no ability to cancel this election, following the advice of Sen. John Blutarsky between now and Nov. 6 appears sounder and sounder: Start drinking heavily.